I've had one of those weeks where I've been away from the blog so I thought that it might be good if I did a post just talking about a few things that I've been loving at the minute. Let's start off with a beauty product because well I love a good beauty product. 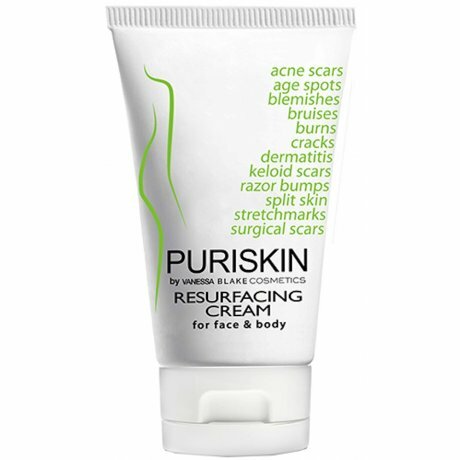 This little number is called the Puriskin Resurfacing Cream. This product has a calm yet soothing formula to help normal/dry skin with almost anything! It helps blemishes, scars, acne, Chamomile gives a soothing yet antibacterial benefit to the skin therefore it helps the healing process if treating any of the above. I've been trying this out for over a week and it has helped out my skin so much! 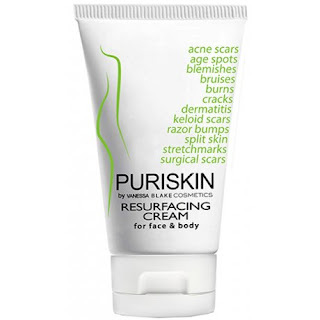 I suffer from severe breakouts and scarring a lot and it has calmed both down quite a bit. It has also helped my face out when I've not been completely careful when shaving and has made my hands so damn soft! I was a bit weirded out by the setting of the cream when first applying it but as soon as you get used to it you forget that it's even setting! The next item that I have been in love with at the moment is Pretzel M&M's. I know that this may seem like a cliche thing to talk about within a blog/a video really due to big media artists always loving American candy but I honestly love pretzel M&M's. I used to be about the Mint ones that you can get within American candy stores but the pretzel ones are just amazing. The salty pretzel against the sweetness of the chocolate with the crunch added via the pretzel is just so gorgeous. I normally get them from Candy Hero within Leeds but there is other candy stores available. I've also been adoring the new look bath truffles from Yorkshire Soap Company. Bath truffles are literally balls of goodness in the form of natural oils etc which have been made to look like chocolate truffles. The old ones have a sort of paper casing to them which I love but at the same time I think it confused a few of the customers as this was dissolvable whereas the new ones without the casing make not confuse customers as much. There is a new scent which has been dubbed Totally Tropical and it smells like holidays. It smells of pineapple, orange, mango and coconut but the coconut isn't too strong that it overpowers everything. It's one of those products that you want for when the suns shining or when its miserable and you want a pick me up. The last thing that I have been loving is quite different to the things that I have mentioned above. I have been digging some slightly different music lately. I love literally any music genre but lately I've been in and out of slightly jazz based music. I mean I have also been loving alternative music as well lately due to building myself up for Slam Dunk which I'll save for another post but jazz has been quite a good genre to listen to at the moment. I've particulary been loving Marco Piccioni Trio lately. They're a mixture of rock, jazz and blues. Their album is amazing and they're a good band to listen to when you're not sure what you're in the mood to listen to. What are you loving at the moment? Let me know down below! I hope that you have enjoyed this blog post and that you come back next time to read another post! This post has been in collaboration with a PR company who have given me previews/samples of the things featured within this post. All opinions are my own.